So, your fresh off the plane to Galway, or bus I shall say. You want to explore this new and exciting little city on the beautiful western coast of Ireland. Where do you start? I have two words for you. Blue. Dots. 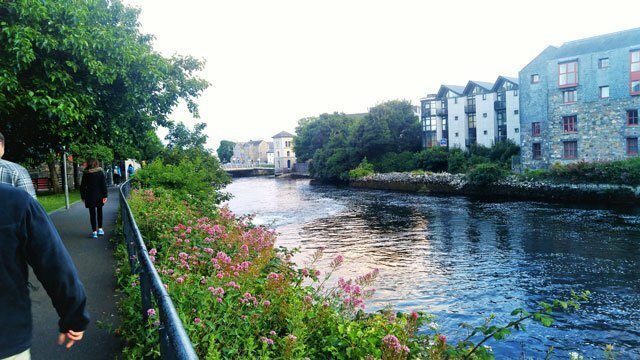 Probably the first place you’ll initially encounter in Galway is Corrib Village, which encompasses the adorable little apartment complexes right beside the University. 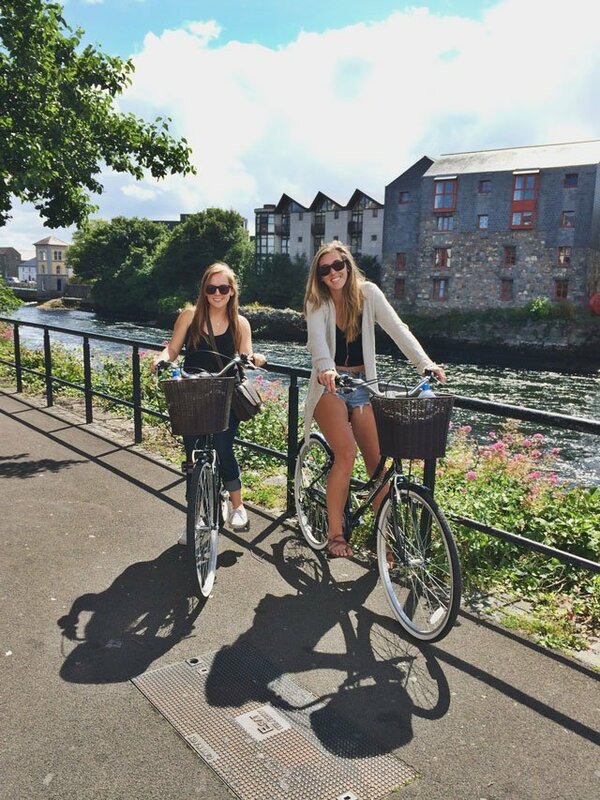 From Corrib Village, the walk into downtown Galway city entails a lovely scenic route through the NUIG campus, and can easily be found by following the large blue dots that are imprinted on the road. It’s a funny concept but trust me, those dots can really come in handy. 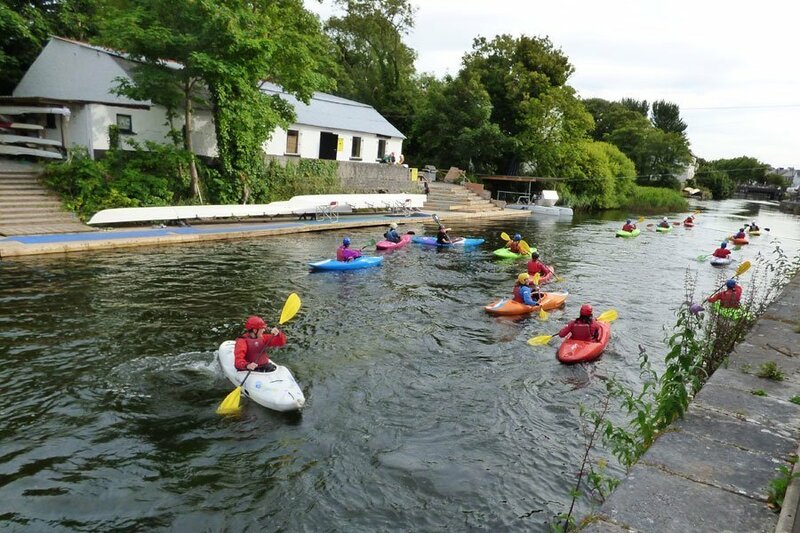 The route into town passes a couple of notable places such as Sult, the main campus entertainment venue, and a field right next to the River Corrib, which is home to one of the large tent venues for the Galway International Arts Festival. 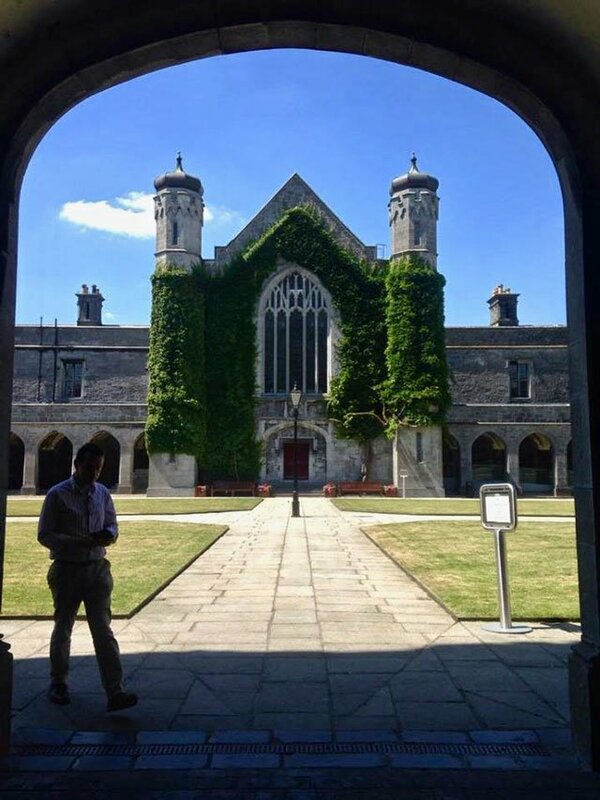 For those who want to venture off the main path, its definitely worth checking out the Quadrangle and the Library, as the architecture is stunning and you may find some nice outdoor lounging spots along the way. 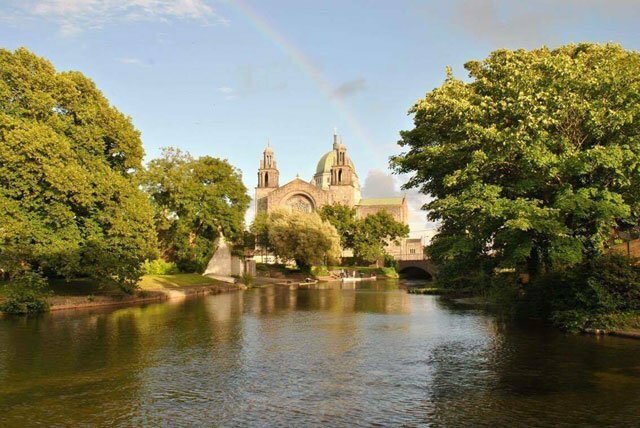 Approaching the outskirts of downtown, you’ll find the Galway Cathedral—which tends to tower above most buildings in Galway and is a good landmark to keep track of if you ever need to find your way back to campus. Built in the 50’s, the Galway Cathedral has an elegant interior with rose windows and mosaics. It was actually built on the same site as the former Galway city prison and is one of the most recently built great stone cathedrals in Europe. As you make your way across the Salmon Weir bridge, you’ll find yourself confronted with multiple paths to take, such as walking along the river towards the Spanish arch and shop street, up towards various streets that take you into Eyre Square, and up along Saint Vincents Avenue, where you can find fairly less crowded shops and restaurants. 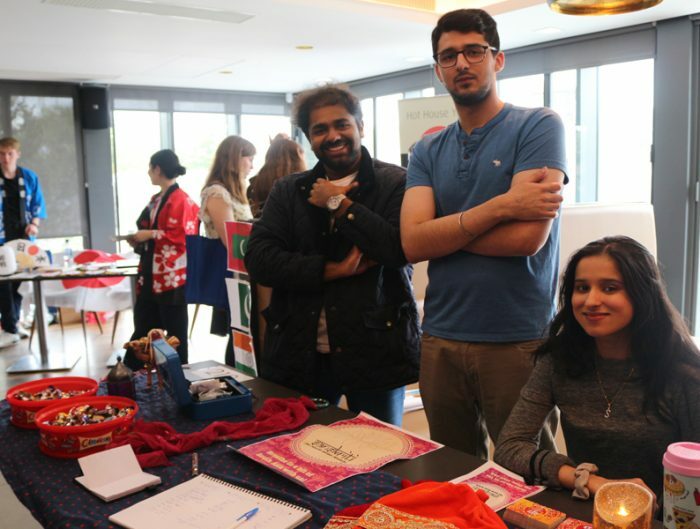 During the Galway International Arts Festival and the Galway Film Fleadh there will be lots of different exhibitions, film screenings, live music, and theater shows in numerous venues throughout the city. Attending any of these is a great way to get out and explore other parts of the city while getting a taste of Irish art and culture. When I first arrived in Galway I made sure to keep a mental note of all the places I wanted to check out downtown. As a foodie, restaurants and cafes were always on the top of my list. They also gave me a good excuse to check out new scenes and meet new people in the downtown. Every Saturday and Sunday, people from all walks of life come to enjoy the local market in the center of Galway City on Church Lane. An eclectic mix of artists, artisans, local farmers, and food connoisseurs sell anything from fresh veggies, crepes, and pastries, to leather belts, soaps and tiny gnome houses. Be sure to bring some euros with you because this is a great place to get some unique goodies while supporting the local vendors. As for Irish food, many of the pubs and restaurants in town will offer different dishes. 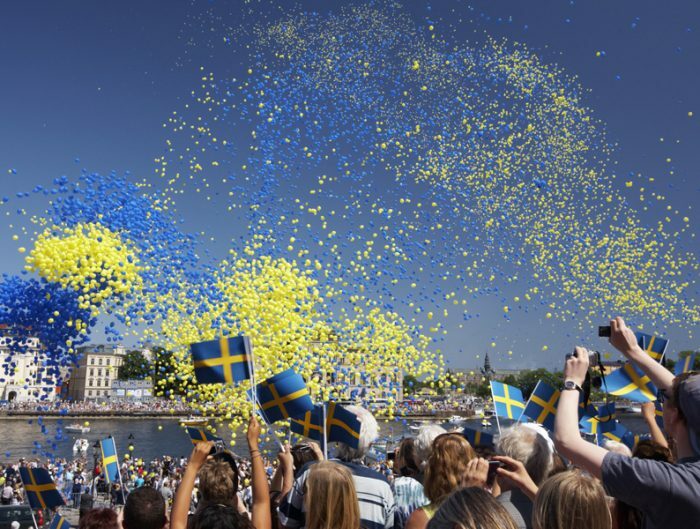 Some are more catered to the tourist scene while others are more authentic. Most of the restaurants directly on shop street tend to be crowded and expensive, especially for dinner. Located right near the Spanish Arch, Are Bia at Nimmo’s is a delicious place to go for brunch or breakfast. 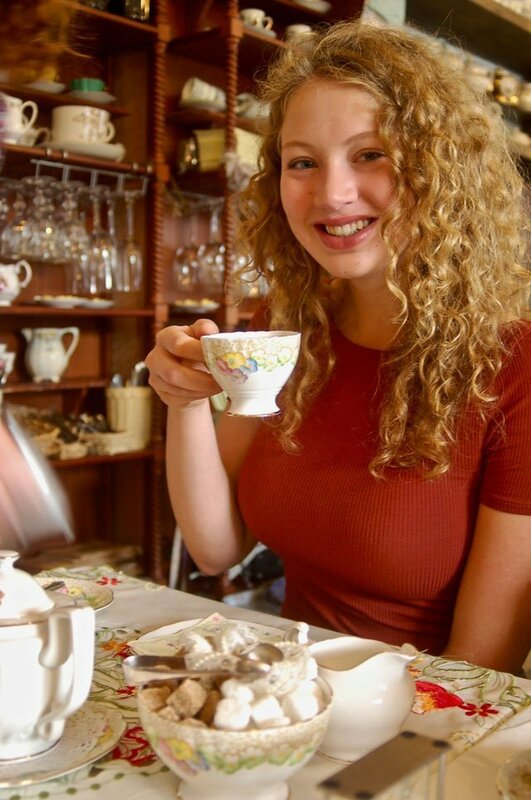 Cupan Tea is one of Ireland’s leading tea shops and is the cutest place for some afternoon tea and scrumptious scones. The Dail Bar, McSwiggans Bar and Restaurant, and the Crane Bar are great for some tasty pub food. The Tribeton is really lovely place to go for dinner. Also, feel free to ask the locals what their favorite places are. You might find a hidden gem somewhere that you wouldn’t have known about otherwise. If your wanting other types of cuisine, Tucos has the best, affordable burritos, The Dough Bros is a great spot for some pizza, Cava Bodega is a fancy treat for Spanish style tapas, and Eastern Tandoori has some delicious Indian food. There are many more international cuisines, but make sure to try out some of the places with traditional Irish food. After all, you are in Ireland! Restaurants are great and all but they can be expensive. Most of the food I ate throughout the day was from the local grocery stores. Two of the main ones I would go to right near campus were the Tesco Express supermarket on University Road and the Centra convenience store on Newcastle. For the most part, I preferred McCambridge’s of Galway which had healthier, local food items. The Dunnes department store also has a large grocery store and catching the Corrib village shuttle back to campus is a good way to avoid having to shlep all your bags of food back to campus. If your at all like me, studying cooped up in your room is a drag, especially when you are in a new and exciting area. Coffee shops and cafes have always been a nice way for me to be out and still experiencing the local life while also getting in some study time. Finding some convenient study spots to relax, get wifi, and hit the books is always a priority. One of my favorite cafes near the NUI campus is Mocha Beans (Newcastle), which is an easily accessible place if you only have limited time before class. There is also another location downtown on cross street. Mocha Beans has quite the breakfast and lunch menu, so if your in the mood for a hearty, healthy meal, this is the place to go. Not to mention, it’s gluten-free and vegan friendly. On campus, Friars was my all time, go-to spot. 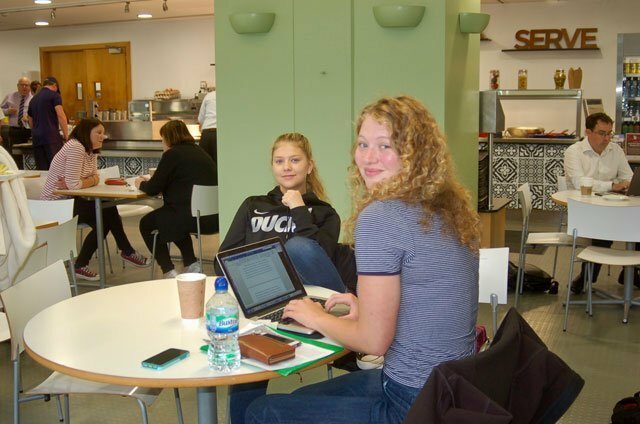 Right across from the Aras Moyola building where classes are held, Friars was an easy place to get work done before early morning classes and a great place for snacks during breaks. It is also located right near a computer lab that is a super easy and convenient place to print…(trust me, the printing situation seemed to be a continuous topic of conversation). Zinc Cafe was another quick and easy study spot, and is located in the Engineering building right across the way. It has a smaller selection than Friars, but it tends to be less crowded if your in a hurry or in need of some quiet time. If your looking for a charming and cozy ambiance, Cafe Temple is the place to be. It’s upstairs seating area is a great setting to have some space for focusing and doing work, but its also a sweet spot to hangout with friends. If that doesn’t seal the deal, than maybe this will—Cafe Temple’s menu emphasizes locally sourced, organic ingredients and all profits are donated to charities. You can also get some tasty Irish breakfast and lunch specials such as black pudding, grilled Irish chicken baps, and grass fed beef burgers. All in all, its worth checking out! A couple more attractions to check out throughout the city are the Medieval City walls, which are remnants of the original city walls from the 1200’s. The Galway City museum and St. Nicholas’ Collegiate Church are also easily accessible and noteworthy attractions. There are plenty of amazing places to check out on the outskirts of Galway, such as Connemara National Park, the Aran Islands, the Cliffs of Moher, the Burren, Doolin Village, Ballyhaunis, and many more. 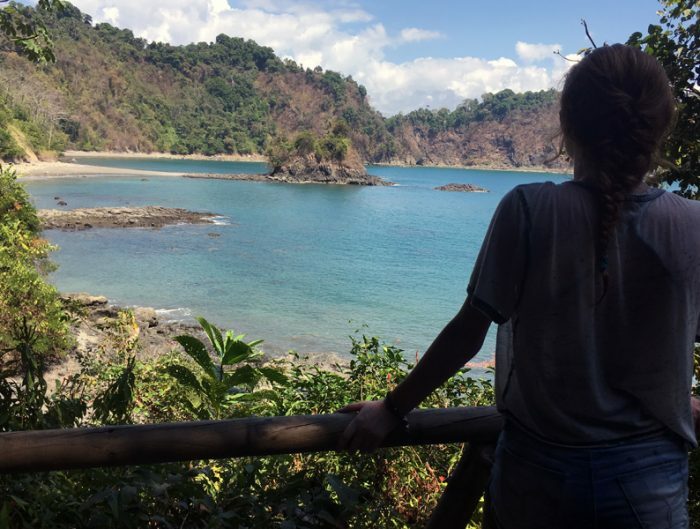 All shouldn’t be more than a couple hour bus ride away, and a lot of them are part of your included field trips with USAC. The western landscapes of Ireland are breathtakingly beautiful and fantastic for day hikes. Ahhhh, you’re finally seeing a sunny day in Galway—a rare but lovely way to experience the natural beauty of sun-kissed Galway. So, where do you go? The answer is Salthill. After all, Galway is right on the coast and beaches DO exist. A couple miles down from shop street are some beautiful beach spots along with Blackrock Pier, which has levels of diving decks to jump off of into the ocean. 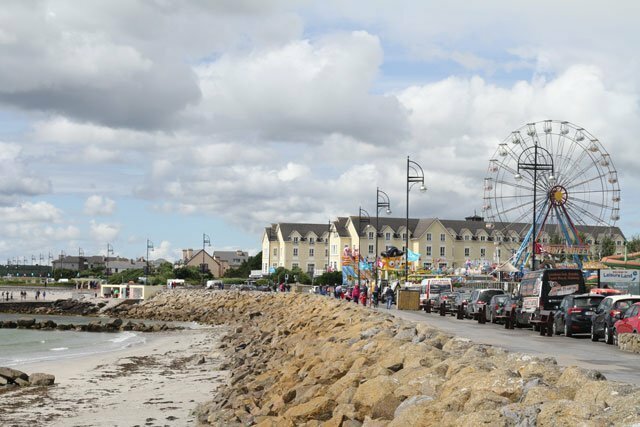 You should definitely check out Salthill at least once during your stay in Galway. There are also a bunch of restaurants and shops down in that area that are less touristy than the city center. A marvelous way to end your day is to go watch the sunset on the water and afterwards listen to live music at a local pub. What could be better than that?! Galway has some of the best live music and its everywhere! 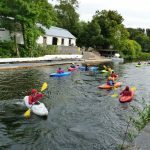 Take advantage of all the nuances and unique creative and cultural features of the Galway atmosphere. It’s a one of a kind city and there is so much to take in if you make an effort to immerse. You won’t be disappointed.